The Texas State Board of Dental Examiners was accused of ineptitude Wednesday during a House Public Health Committee hearing. But some said the board lacks the resources to do its job well. Texas toddlers being held in restraints as dentists at corporate-run clinics performed unnecessary root canals were among the dental horror stories told Wednesday at a House Public Health Committee hearing at the state Capitol. The Texas State Board of Dental Examiners, which regulates dental licensing in Texas, was the subject of criticism by members of Texans for Dental Reform and unaffiliated residents, who called for legislative reform while levying accusations of ineptitude, a pattern of withholding or obscuring negative information about dentists, and failure to act against corporate-run dental clinics committing Medicaid fraud and harming patients. But others came to the board’s defense, saying that the new leadership is trying to fix mistakes from the past and that the board lacks the resources to do its job well. “We have an underfunded and understaffed state board that is not able to accomplish all that we’d like them to accomplish,” said Richard Black, the legislative chairman for the Texas Dental Association and an El Paso dentist. Although it is taking time, the leadership of the board has made “substantial progress,” he said. Both Black and members of the dental board expressed concerns about the recent outcrop of corporate-run dental clinics — and the board’s limited ability to protect the public when unlicensed operators at such clinics interfere with patients’ treatment. The clinics in question often serve only Medicaid patients and pay one dentist to act as a prop by claiming ownership. The real owners of the clinics — usually private equity firms — are in the dental business for profit, and encourage overutilization of Medicaid services by dictating a “one-size-fits-all treatment plan” or setting quotas for the number of procedures that dentists should perform, said Black. Dentists drilling for Medicaid gold is a national issue, as one Washington TV station documented, and more corporate-run dental clinics popped up in Texas after lawmakers raised reimbursement rates for dental procedures in 2009 to motivate dentists to accept Medicaid patients. 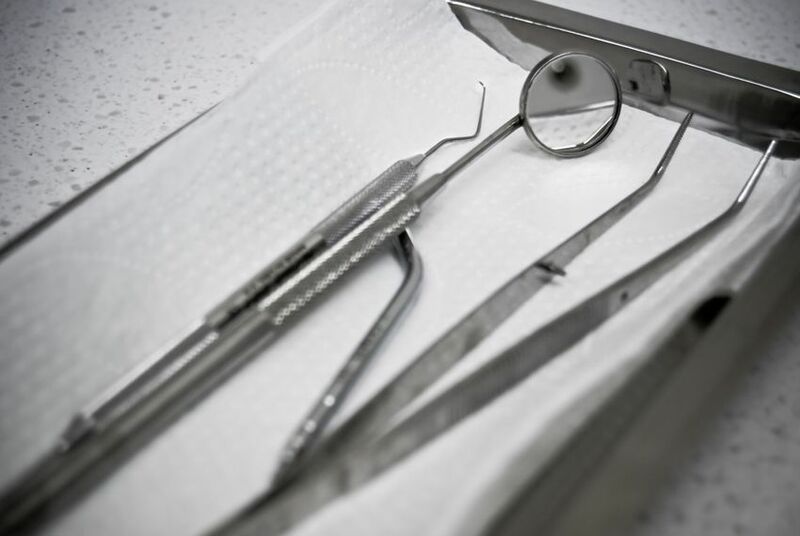 Joyce Sparks, general counsel to the dental board, said the board has also seen an increase in complaints of dentists violating standards of care since then, which could be linked to the rise in reimbursement rates. Jim Moriarty, a Houston lawyer, detailed reports of torturous procedures at corporate-run clinics, in which children as young as 2 are immobilized, sometimes with a restraining device called a papoose, while the dentist inserts multiple stainless steel caps or performs root canals rapidly. “They won’t let the parents be present because the parents would be tempted in Texas to pistol-whip them if they knew what they were going to do,” Moriarty said. He’s currently suing one company that operates six dental clinics under various names in Texas and said the dentist who claims to operate those clinics — but actually works and treats patients in Oklahoma — bills Texas $12 million a year to treat Medicaid patients. “We want to be part of the solution, but right now we have no tools with which to combat this,” said Glenn Parker, the dental board’s acting executive director. The board only has the authority to license and sanction individual practitioners, which inhibits its ability to monitor or regulate clinics owned by private equity firms or corporations. The only recourse for the dental board is to notify the Office of the Inspector General and other state and law enforcement agencies when they’ve received an accusation of Medicaid fraud. The board has identified the corporate practice of dentistry as an issue for lawmakers to address in the next legislative session, Parker said, adding that the board wants to get legal authority to regulate those clinics. The board also wants adequate funding to resolve the complaints it receives. Unlike the Texas Medical Board, which pays consultants and doctors to investigate allegations of medical misconduct, the dental board relies on volunteers to investigate complaints. There are usually 15 to 20 active consultants — dentists who apply to the board, undergo background checks and training, and then receive approval from at least two board members — to review complaints about standard of care. Parker estimates the dental board receives 500 to 600 standard-of-care complaints a year. At least two dentists on the board must review a complaint and agree on whether a standard of care violation occurred before the case is closed. Board members said they've opened communication with Texans for Dental Reform to address their complaints, but ultimately, the agency needs more investigators and staff. Parker admitted in the past, it's possible staff and board members would "cherry pick" the easier complaints. “When you have staff turning over, some people do what’s easiest to do, not what’s best to do." This story originally misinterpreted a statement by Parker by saying "volunteers often 'cherry pick' the easier complaints." He said previous staff and board members, not volunteers, may have cherry picked cases in the past. We also clarified that at least two dentists on the board, not volunteers, must agree a ruling for standard of care complaints before the case is closed.